Bishop Peter Elliott says he kept Mother Teresa’s exhortation to new bishops – that they be “happy bishops” – front of mind and in his heart during his 11 years of episcopal ministry in Melbourne Archdiocese. Pope Francis today announced that he has accepted Bishop Elliott’s resignation, which he submitted recently upon reaching the retirement age of 75. Bishop Elliott had been appointed Auxiliary Bishop of Melbourne in 2007. Reflecting on the intervening years, Bishop Elliott said he took particular joy when administering the sacrament of Confirmation. “Confirmations were an important part of my ministry as a regional bishop,” he said. Bishop Elliott said he also enjoyed many of his various roles as part of the Australian Catholic Bishops Conference, including as a member of the Catholic Disability Council; working with former Anglicans who joined the Catholic Church in the Personal Ordinariate set up by Pope Benedict XVI; and in liturgy, a great interest of his, and an area he plans to continue exploring through study and writing. 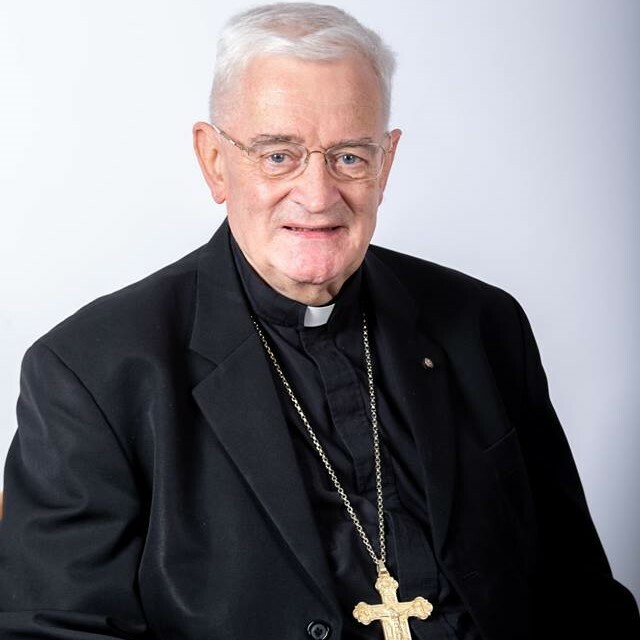 Melbourne Archbishop Peter A. Comensoli said Bishop Elliott “has been a wonderful Minister of the Gospel in the Archdiocese of Melbourne over many decades”. “At this initial moment, I simply want to sincerely acknowledge Bishop Elliott’s faithful and conscientious service across the Archdiocese in many ways,” he said. Archbishop Comensoli paid special tribute to Bishop Elliott’s work as director of the John Paul II Institute for Marriage and Family and as editor of important religious education texts, saying “he has helped to shape Catholic thinking on many critical issues”. “Bishop Elliott has been a wise counsel for me in my short time as Archbishop, and I thank him for all he has given to God’s people in the Archdiocese and beyond,” he said. Archbishop Mark Coleridge, president of the Australian Catholic Bishops Conference, said Bishop Elliott’s “many gifts have seen him contribute significantly to the work of the Australian Catholic Bishops Conference”. Archbishop Coleridge commended Bishop Elliott’s writing and speaking, especially in the liturgical field, and in his years of service to the Holy See in Rome. This entry was posted in Bishops, Press Releases on November 3, 2018 by ACBC Communications.